150+/- private acres 2 miles off route 30 in Harrisonville, PA. Improved property with Water/Sewer and Electric. Great for home, campground, event center, family reunions, hunting club or avid outdoor person. Ideal for underground bunker. Home to bear, deer, rabbits, squirrel, birds and bass in the 3 spring fed ponds on property. 10x50 stick built, 1 BR, half bath, house ready to be finished. 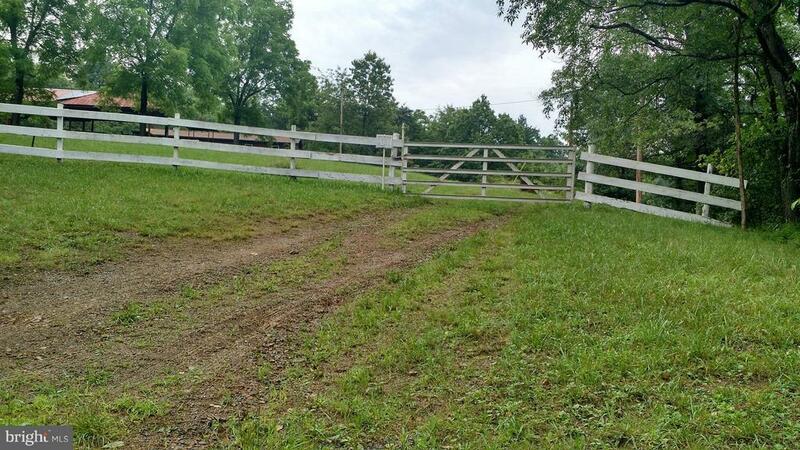 Easily accessible acreage, grassy areas, cleared areas, ponds and wooded areas. Large pond (approximately 1 acre), 17 feet deep with 2 -four person paddle boats and an inflatable row boat convey. Also, 2 additional smaller ponds on acreage. Detached, stand alone bathroom building, with his and her facilities. Block walls with metal roof. Huge 24 x 65 open, heavy duty picnic pavillion with 15 tables, metal roofing and elctricity. 45 minutes from Lake Raystown. 2 hours from Baltimore/Washington area.